I blink my eyes and the summer is almost over. School starts in a few weeks and the busy schedules and long days are right around the corner! I do often wonder why summertime seems to go by so fast yet winter seems to drag on. Busy days and after school activities leaves the need for easy to make, simple and tasty suppers. I’m constantly on the go running children to and from sport practices and music lessons. I love to cook and preparing the meal for my family but unfortunately some nights it isn’t a leisurely experience. It is a “what can I make in a hurry to feed my hungry family fast”. 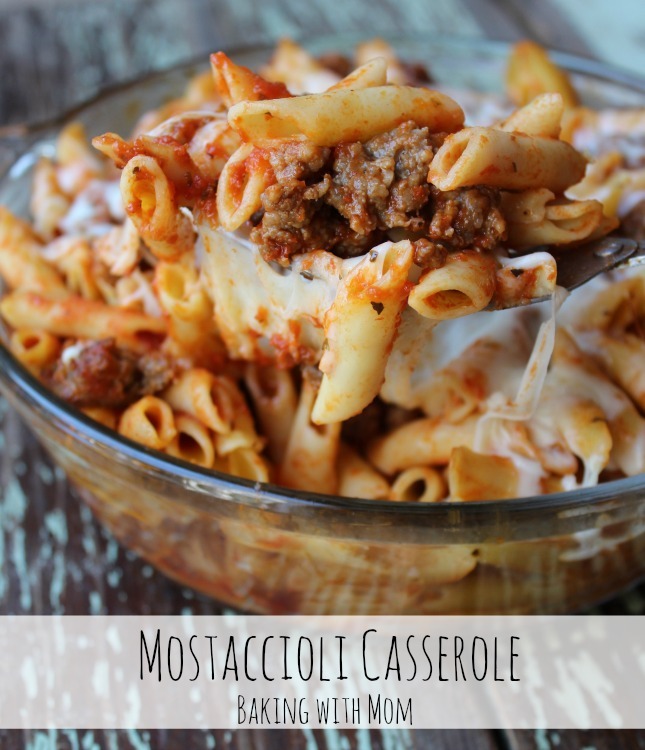 Easy Mostaccioli Casserole is one of those quick, easy to make suppers. Not only can you whip it up in no time, you can also make it ahead of time (and make multiple batches!) so it will be ready to pop into the oven when your family is ready to sit down to eat. Wanting to make this four ingredient meal for my family, I headed to the store. While at Walmart, I thought I would also buy V8 +Energy. 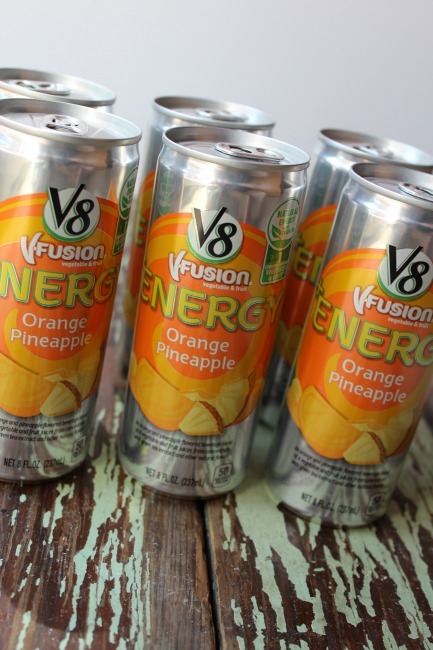 V8 +Energy is nutritious, offering a combined serving of fruit and vegetable. You can take these on the go when you are out and about watching cross country races or basketball games. Only 50 calories per 8 oz. serving too! 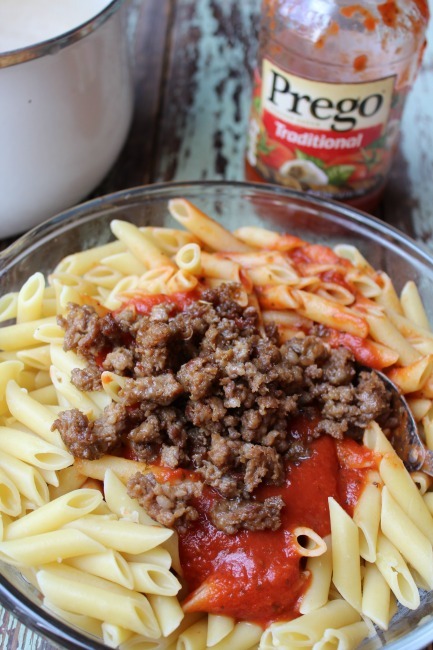 I wanted to use Prego Italian Sauce for the casserole. 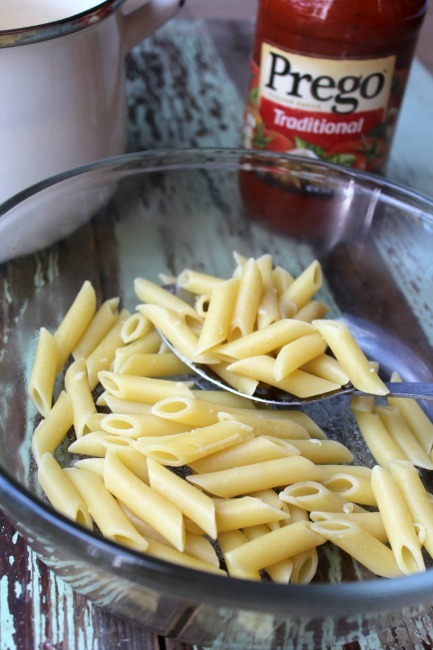 It has a perfect balance of sweet and savory Italian flavor and is meant to please the whole family. Both were easy to find. 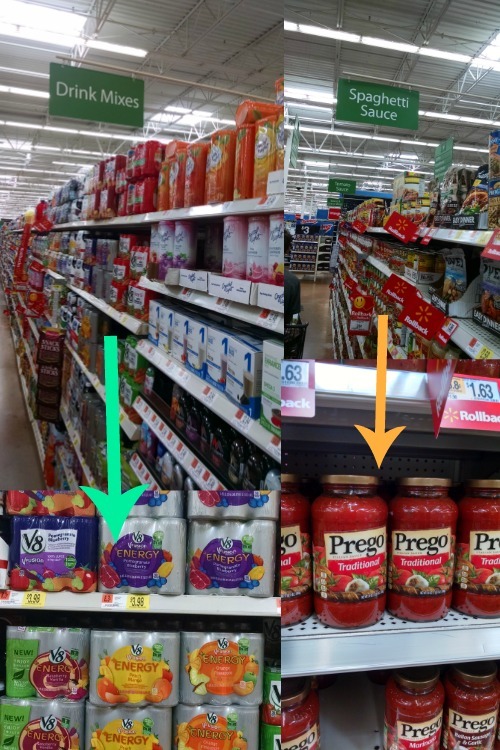 The Prego Italian Sauce was in the sauce aisle and the V8 +Energy was in the juice aisle. There was a varity of flavors to choose from but I grabbed the Orange Pineapple. Delicious! I love the natural energy comes from green tea! Putting the casserole together was a cinch! First I fried up the sausage. I also boiled the mostaccioli noodles. 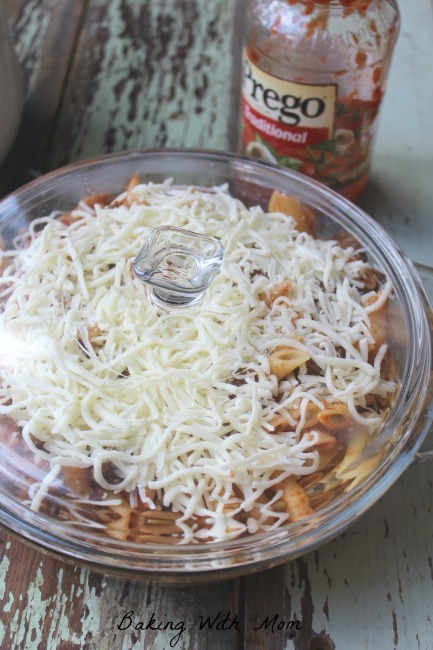 Place the noodles in a 2 quart casserole dish and stirred in the Prego Italian Sauce and sausage. Then add mozzarella cheese and put the casserole in the refrigerator for supper that night. Easy! 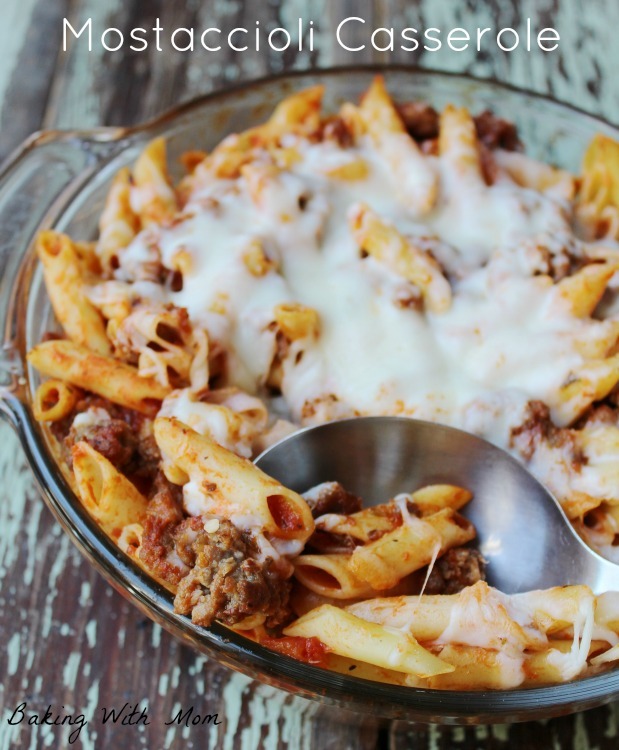 When suppertime came around, I popped the easy mostaccioli casserole in the oven for 20-25 minutes at 375*. You can find more coupons for V8 +Energy, Prego Italian Sauce as well as Campbell’s Chicken Noodle Soup (great for school lunches!) and Pace Salsa (a great addition to these 3 ingredient burritos) here. 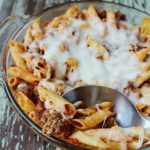 Easy Mostaccioli Casserole with sausage and mozzarella cheese is a quick and easy recipe perfect for busy school days. 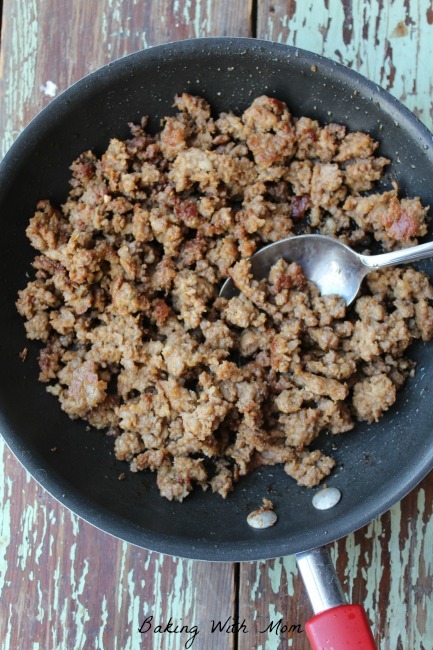 What is your favorite back to school recipe?